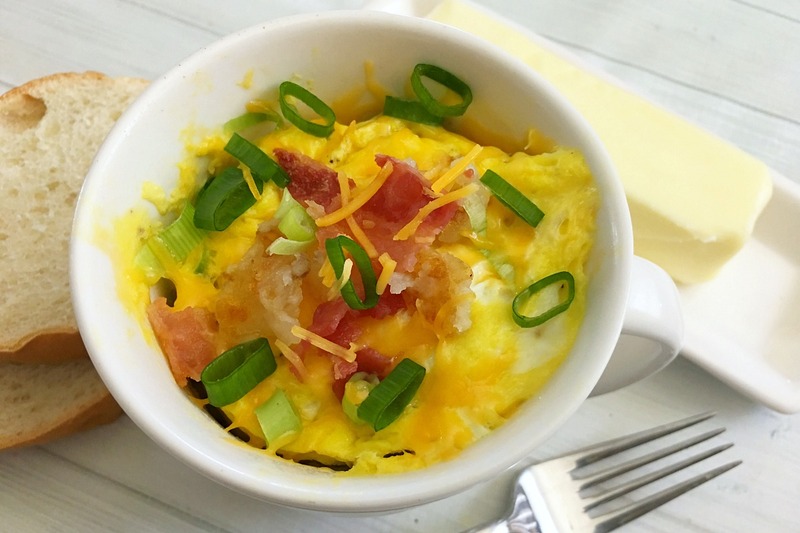 This loaded potato is my favorite – because it’s loaded…with flavor and it will hold well you until lunch! You can make these in so many ways – just egg and sausage and cheese. Just eggs and bacon. Just potato and eggs. Possibilities are almost endless. Spray the inside of a large coffee mug with a non stick cooking spray or grease with butter. Pour your eggs and milk into your mug, season with salt and pepper and whisk with a fork until combined. 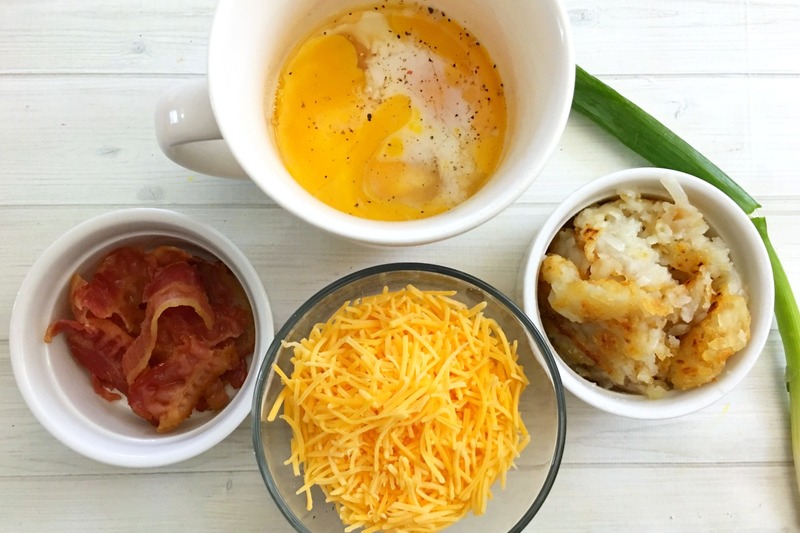 Mix in cooked hash browns, cheese, cooked bacon, and chives. Microwave on high for about 2-3 minutes or until your eggs are cooked thoroughly. Sprinkle a little more cheese on top and a dollop of sour cream. 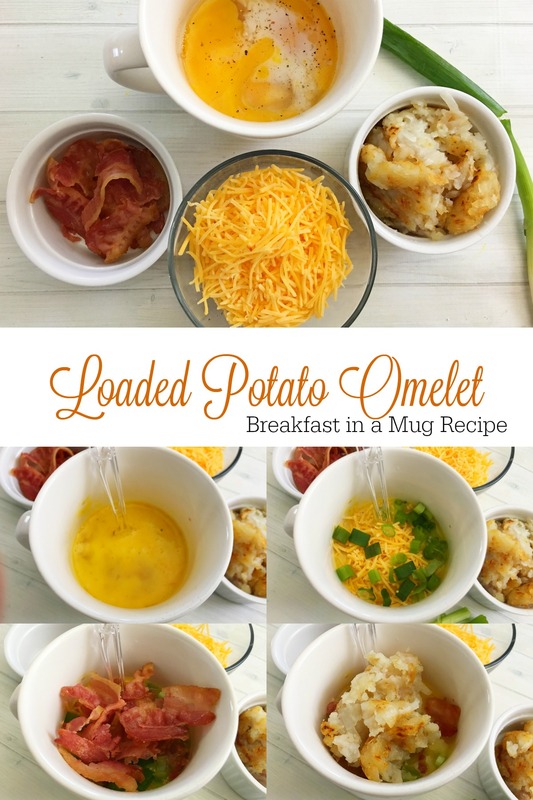 Serve Loaded Potato Omelette Mug as an easy breakfast! Add some chopped baby or tender greens, or chopped broccoli or asparagus cooked with onion n garlic. Healthy, yum. Maybe 1/2c to each mug.